The great shark debate has stirred once again, just as Western Australia gets into summer holiday mood and heads for the surf. 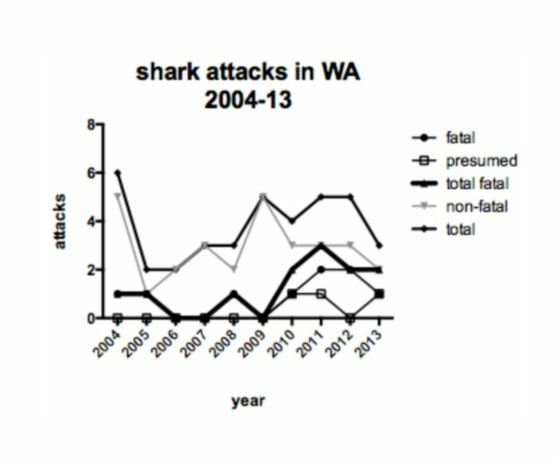 Why, in a year when there has been only one fatal shark attack off the Western Australian coast, have we got into such deep water over shark control? This hotly debated issue is unlikely to be resolved in the near future. Are shark attacks on the increase? 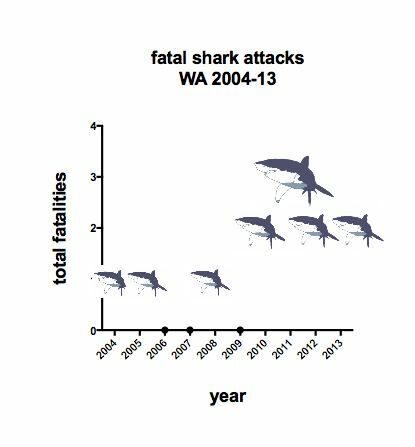 The experts who keep the Australian Shark Attack File (Taronga Zoo)records note that there has been a global increase in shark attacks, but the proportion of attacks that result in a fatality is close to the global average of 30%. The general consensus is that the number of attacks is a function of the increasing number of people getting into the water. You can read the WA figures from the last decade several ways, which might explain the wide differences of opinion. It looks like there might be a general trend upwards in fatal attacks. That is particularly true if you include likely or presumed fatal shark attacks. But the figures fluctuate wildly [detailed figures], and the annual numbers are too small to spot a local trend. As noted by several expert groups, drowning deaths are many more times commoner than fatalities from shark attacks. But it seems that most people know someone who has been in the water during a shark attack. Fatal shark attacks include those deaths presumed due to shark attack. Data sources: Australia Shark Attack File, Taronga Zoo and Global Shark Attack File. 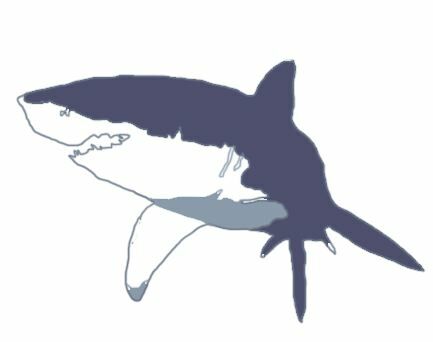 Perhaps the heart of the shark debate is what we should do about it. Shark patrols are controversial. Official warnings are all too often ignored by the more adventurous. Water sport enthusiasts and recreational fishermen will go far beyond the limits of nets, patrols or other surveillance. The shark net programme in South Africa has been relatively successful. But the value of shark culls is more hotly debated. Their appeal may be more a matter of revenge or retribution, rather than evidence-based risk reduction. Read more about the background to the debate in the links below.